From natural disasters and climate change to terrorism and the threat of global conflict, it can seem as if the world is on the edge of more perilous times. While most people can do little more than review their insurance policies and go about their lives, some of the ultra-wealthy are going to great lengths to prep for potential disaster. An article in The New Yorker last year suggested that hundreds, if not thousands, of ultra-wealthy Americans are prepping for doomsday scenarios. Many high net worth people are looking beyond insurance to protect themselves from man-made and natural disasters, said Steve Bitterman, chief risk services officer, Vault Insurance. “I think there are more things going on these days that make people think. For some, it’s a hurricane or the protection of a collection. For others, it’s survivalist-type stuff,” Bitterman said. A recent survey by Finder.com revealed more than one in four Americans, roughly 68 million people, have purchased some sort of survival gear due to recent political events or disasters. One interesting discovery: Preparedness increased with income level. Those with higher household incomes spent a proportionately higher percentage on things like supplies and home renovations to withstand disasters. Beyond basic supplies, the high net worth are acquiring properties in more isolated places, such as rural Montana, New Hampshire and Maine, Bitterman said. Others have been eyeing remote islands in the Caribbean and New Zealand — a remote location with a high level of political stability. PayPal founder Peter Thiel recently acquired a 477-acre estate in New Zealand and was granted citizenship there. “And the beauty is, for these people buying blue-chip properties in exotic locations around the world, they’re not going to lose money, so they end up with a fabulous vacation home, and the ability to disappear if they need to,” Bitterman said. Along with acquiring secure getaways in remote locations, the high net worth are also constructing secure infrastructure to withstand the most extreme disasters. In September 2017, billionaire Richard Branson and his family safely and comfortably rode out one of the strongest hurricanes on record inside of his wine cellar on Necker Island. In places like Florida, deca-millionaires are constructing hurricane-proof rooms in their homes or their own properties, Bitterman said. While standard shelters can be had for as little as $7,000, niche contractors are also constructing elaborate luxury bunkers that can run into the millions of dollars and can even withstand a direct nuclear attack. Vivos offers a number of shelter solutions, including the 40-foot Quantum shelter, which can be buried underground and can accommodate up to eight people with enough room for a year’s worth of food. blast and features three miles of tunnel chambers with gyms, theaters, a bar and enough space to accommodate a community of 500 residents. Private apartments in the luxury survival community start at $2.5 million (€2 million). The richest of the rich are also constructing custom facilities on their own properties. And until the need arises to live in them, many are using them to store collections of art, vehicles and other items. “There are people going to incredible lengths to consolidate storage of their collections in one facility. Some even have hundreds of cars, and so they create spaces protected from whatever catastrophe in that area might be,” Bitterman said. Terrorism also remains a significant threat. After 9/11, many ultra-wealthy people in Manhattan began to rethink their ability to evacuate the island in the event of an emergency. While many of these people already had access to helicopters, it was little help when air traffic was instantly grounded after the attacks. To this day, some wealthy Manhattanites still have alternative transportation methods in place to quickly vacate the island if necessary. “People that didn’t keep cars in the city were buying garage space and cars. Several clients we had bought or rented boats, because if something like that happened again, they wanted to be able to get out of the city quickly,” Bitterman said. Many are also going to great lengths to reduce their exposure in the event of a massive cyberattack, Bitterman added. The U.S. Director of National Intelligence said the public and private sectors in the U.S. remains at a high risk of attack from state and non-state actors. The ultra-wealthy are also significant targets for identity theft and hacking of personal or financial data then held for ransom. Vault has partnered with security firms specializing in serving the needs of the high net worth. They come into a home and review phones, computers and all electronic devices to ensure clients have the highest level of security. These companies also review security cameras, which can be hijacked to spy on the residents. Is a remote operator legally a master? New technology confounds old terms. 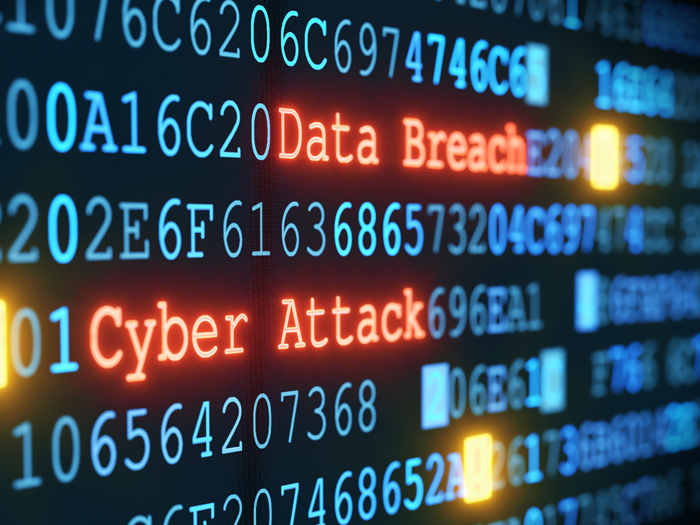 Cyber exposure is a growing concern for farms and agribusiness companies of all sizes.